As anyone could guess, it's true, the apres ski activities are in short supply of women. 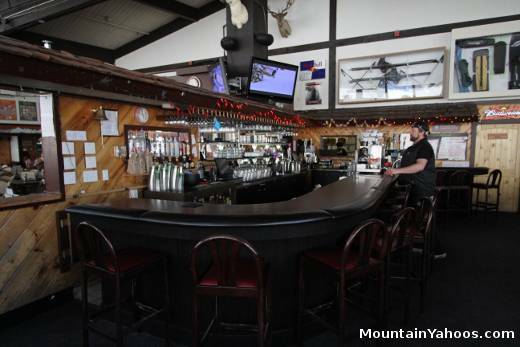 There is however, no shortage of beer at the premier (and only) apres ski bar, Sitzmark Bar & Grill. 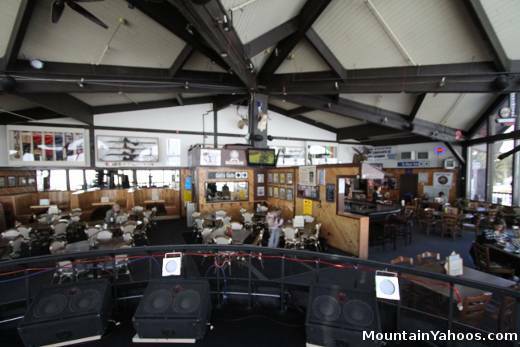 The two base areas (hotel and day lodge) and the upper tram terminal (mountain top dining at the Seven Glaciers Restaurant with a fantastic panoramic view) are the only places to eat on the mountain. On the Day Lodge base area one can eat at the lodge or at The Sitzmark (mountain base). Aurora Bar & Grill: lunch and dinner. Alaska Seafood, steaks, gourmet sandwiches and specialty pizzas. Sakura Asian Bistro: fresh seafood and meats. 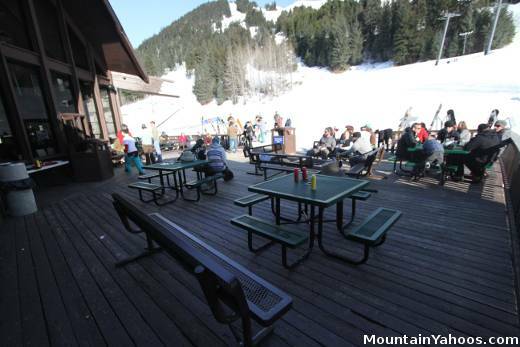 The local town of Girdwood also provides a few dining options. 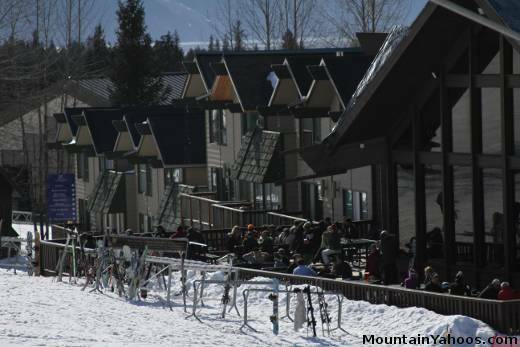 The Sitzmark not only has apres ski activities but it is also the place to catch live bands in the evening. Alyeska has night skiing on Friday and Saturday nights after which you can un-thaw at The Sitzmark. Unique to ski resorts of this northern latitude, one can often see the Northern Lights, also known as the Aurora Borealis. They are best viewed on cold moonless nights when the sky is clearest. Note that this phenomena is a random occurrence.